Hit The Petawawa System with Jim and the Heliconia boys yesterday. We fished from noon Saturday yesterday until early Sunday afternoon . 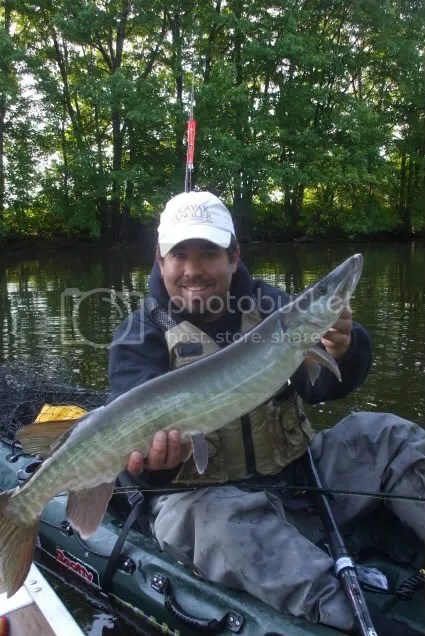 We caught 7 muskies, had 6 other fish follow and broke off 2 on bass gear. Insane action out there…. In she came a nice 42″ ski, our biggest of the trip. Huge head skinny body… she jumped 3 times and swallowed my bait. I cut out all three trebles and off she went.